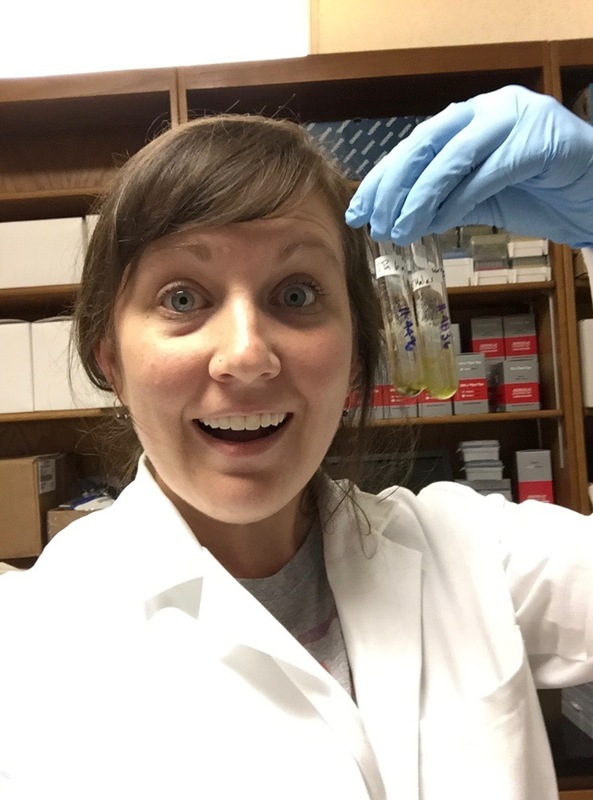 Elise Keister wrote this post as a final project for Stacy Krueger-Hadfield’s Conservation Genetics course at the University of Alabama at Birmingham. Elise studies the impact of climate change on corals as a PhD student in Dr. Dustin Kemp’s lab. Elise completed a B.S. in Biology and Marine Science at the University of Miami’s Rosenstiel School of Marine at Atmospheric Science (RSMAS) and is passionate about working with these susceptible invertebrates, which play such a foundational role in coral reef ecosystems. She hopes to aid in determining resilience mechanisms coral populations are already utilizing to withstand high temperatures, as this will only become more common in the decades to come. Elise tweets at @elise_keister. Funding for taxonomic research has been waning for many decades in favor of ground-breaking research with tangible links to improving human interactions with our environment. Furthermore, taxonomic work is time intensive, which does not fit into the publish or perish academic world of today. Is there still a place for taxonomic research in this new era of science? In a recently published article by LaJeunesse and colleagues (2018), they illustrate how transformative, powerful, and vital taxonomy is within the dinoflagellates that live in symbiosis with marine invertebrates (formerly known as ‘zooxanthellae’). The term zooxanthella has its origins in the late 19thcentury and the taxonomy of zooxanthellae has been confusing since it was first described. The term was used to describe ‘yellowish algae’ which can be free-living or symbiotic, by living within an invertebrate. Symbiodinium microadriaticumwas one of the first binomial species names that was assigned to a symbiotic dinoflagellate by Freudenthal (1962). However, even then, a single species included different genetic entities despite obvious differences in morphology (see Fig. 1), behavior, and biochemistry (Blank and Trench, 1985). The development of molecular techniques to classify these dinoflagellates further complicated the already complex issue. Analyses of ribosomal DNA revealed the divergent nature of the genus Symbiodiniumand arbitrary letters (e.g., A-G) were used to note this divergence, between ‘clades’ (see Fig. 2). 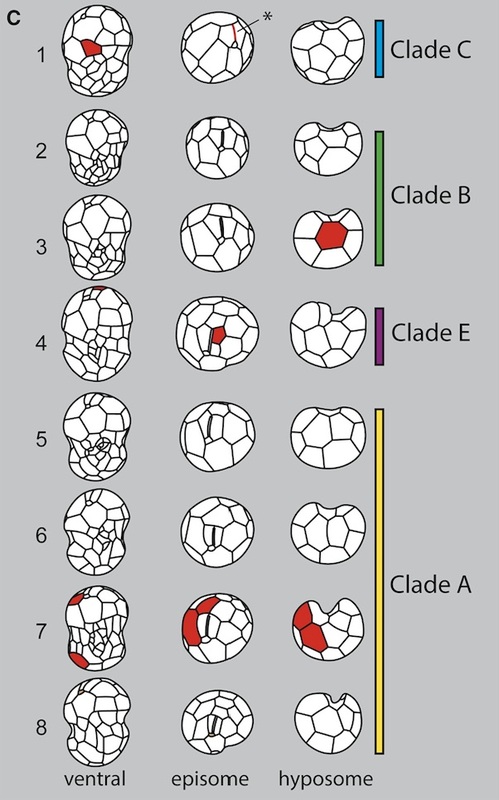 When more variation was found within a clade, numbers were added to the mix and sometimes lowercase letters to differentiate between different algal types within a particular clade (e.g., D1a – clade D). Biologists who studied symbiosis were able to follow this, fairly seamlessly. However, to other biologists, this was an overly complicated system that required clarification. Furthermore, genetic divergence within Symbiodiniumclades was comparable to genetic differences between other dinoflagellate families (Rowan and Powers, 1991) and there was low transcript similarity between clades (Bayer et al., 2012 and Ladner et al., 2012). To put simply, the revision of the classification of microalgal symbionts has been long overdue. LaJeunesse and colleagues (2018) assessed the genetic, morphological, physiological, ecological, and biogeographic diversity of Symbiodinium.They generated the phylogenetic tree, Fig.2, by comparing within and between clade nuclear large subunit ribosomal DNA (LSU rDNA) divergence estimates for other major groups in the class Dinophyceae, where Symbiodinium is also nestled. There is a clear separation of sequence divergence between and within clades of the Dinophyceae class. An analysis of mitochondrial cytochrome balso revealed similar results. Overall, they found a higher proportion of similar genes within a clade than between clades. LaJeunesse and colleges (2018) elevated the genus of microalgal symbionts, formerly known as Symbiodinium, to the family level calling it Symbiodiniaceae. What was previously referred to as clades (A-G), are now considered separate genera (Symbiodinium, Breviolum, Cladocopium, Durisdinium, Effrenium, etc), each of which includes many species (see Fig. 1 for genera names). For example, the species that was formerly referred to as D1a, then Symbiodinium trenchii, is now referred to as Durusdinium trenchii. Furthermore, they revised the age of Symbiodiniaceae, which now coincides with adaptive radiation of their hosts, calcifying corals, and subsequent reef growth approximately 170 million years ago, during the middle Jurassic Period. This reclassification of the symbiotic microalgae and recognition of the high species diversity across divergent lineages, will allow for more concise discussion and innovative symbiosis research on host specificity as well as the ecological and physiological impact of particular host-algal partnerships. Furthermore, this reclassification is critical to understanding how different coral-algal partnerships will affect the persistence of corals into the next century and beyond during this unprecedented period of anthropogenic climate change. Clearly, taxonomic research is vital to advancing our understanding of evolution, biology, and ecological interactions! Bayer, T., Aranda, M., Sunagawa, S., Yum, L.K., DeSalvo, M.K., Lindquist, E., Coffroth, M.A., Voolstra, C.R. and Medina, M., 2012. Symbiodinium transcriptomes: genome insights into the dinoflagellate symbionts of reef-building corals. PloS one, 7(4), p.e35269. Blank, R.J. and Trench, R.K., 1986. Nomenclature of endosymbiotic dinoflagellates. Taxon, pp.286-294. Ladner, J.T., Barshis, D.J. and Palumbi, S.R., 2012. Protein evolution in two co-occurring types of Symbiodinium: an exploration into the genetic basis of thermal tolerance in Symbiodinium clade D. BMC evolutionary biology, 12(1), p.217. LaJeunesse, T.C., Parkinson, J.E., Gabrielson, P.W., Jeong, H.J., Reimer, J.D., Voolstra, C.R. and Santos, S.R., 2018. 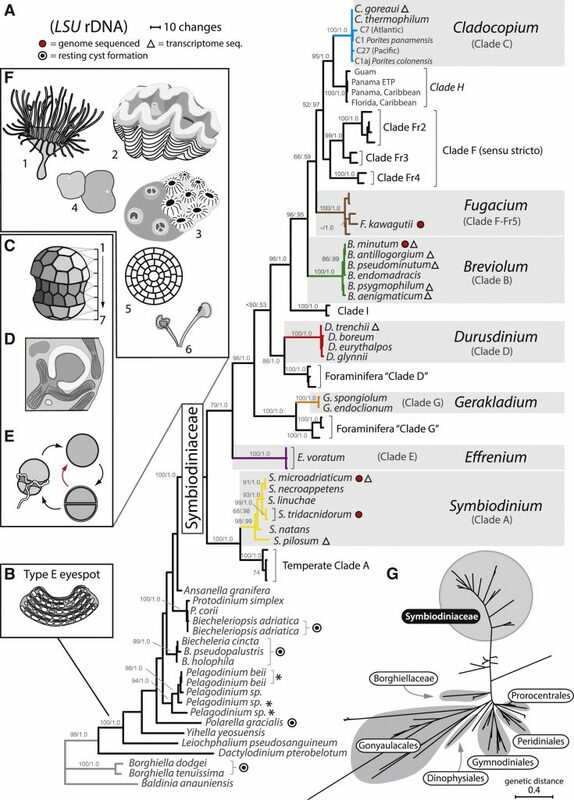 Systematic revision of Symbiodiniaceae highlights the antiquity and diversity of coral endosymbionts. Current Biology, 28(16), pp.2570-2580. Rowan, R.O.B. and Powers, D.A., 1991. A molecular genetic classification of zooxanthellae and the evolution of animal-algal symbioses. Science, 251(4999), pp.1348-1351. This entry was posted in blogging, ecology, evolution, genomics, phylogenetics and tagged Blogging, coral, Science Communication, symbiodinium, UAB. Bookmark the permalink.